When we decided to do a second adoption, we chose to do a special needs adoption. The only thing we knew for sure was that we were going to name her Mia. We didn’t have any certain special need in mind. We filled out a questionnaire outlining what special needs we would consider. Our main concern was that we didn’t want an ongoing medical issue to deal with because we already have a child in our family with ongoing medical issues. When I received the file from the social worker, I couldn’t believe it. 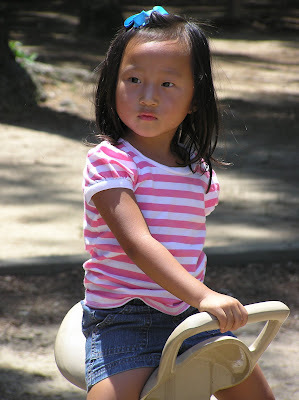 Our agency, Lifeline, assigns American names to the Chinese children they are placing. I opened her file. Her name was Mia. And she was missing her left arm entirely. My husband immediately said yes, which is so unlike him. He researches everything until I am about to scream. And here he is, saying yes to a child who is missing an entire limb! Honestly, I had concerns about having a child with such visible special needs. No one can see that my son is diabetic. No one can see a child’s learning disabilities. But a missing limb! Will she be teased? Discriminated against? I talked to some people who had visible special needs, and decided that it was really no big deal. She was entirely healthy. The diagnosis was probable amniotic banding. 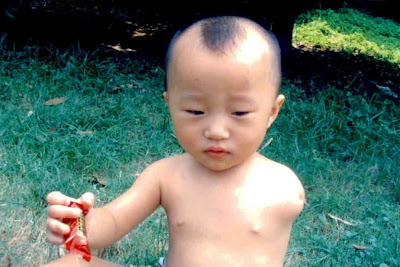 She was born without her arm, so she has never known life with two arms. If anyone who is reading this is considering a child with a missing limb, particularly a missing arm, please feel free to contact me. I will be happy to answer any questions you have.